Fairfield Arts and Convention Center - Fairfield, Iowa - Tune into our Vibe! 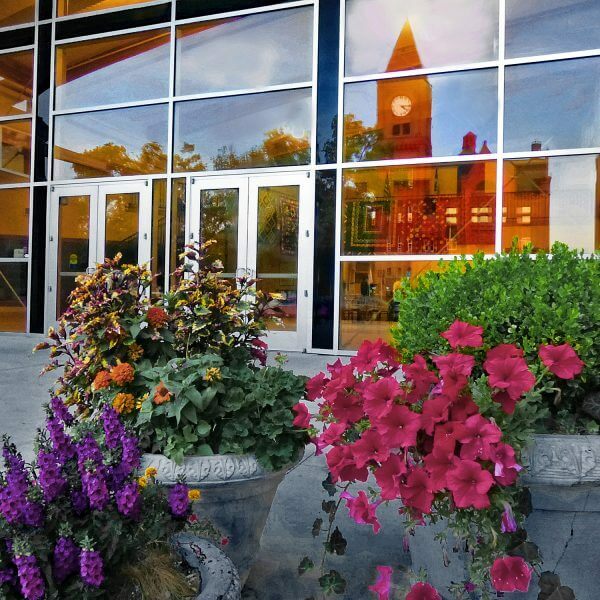 Located in the heart of downtown, the Fairfield Arts & Convention Center is a gathering place designed to showcase a world of arts and culture. This beautiful facility promises a rich and diverse season of entertainment, featuring music, comedy, theater and dance performances. This complex reflects the city’s rich tradition of family, community and pride and is one of the most comprehensive arts and convention centers in the state of Iowa, featuring a state of the art Stephen Sondheim Center for the Performing Arts, expo hall, flexible meeting room space, art gallery and commercial kitchen, providing a sophisticated backdrop for meetings and performances. The Sondheim Center for the Performing Arts, named for renowned musical theater composer-lyricist Stephen Sondheim, is the backdrop for the Fairfield Concert Association, Chamber Music Society Fairfield, The Fairfield Area Community Theater as well as local and regional dance and music performances.